Tis the season for balms. It’s no secret that Laurel Whole Plant Organics makes delicious, standout face balms (that inspire spreadsheet work!). But an eye balm, too? Yeap. And it’s the most decadent, cushy creation to ease itchy, puffy, transition skin. Made with 24 beneficial active ingredients, Laurel Whole Plant Organic’s Eye Balm takes down puffiness while offering a mega dose of moisture and protection to the delicate, dry eye area. As a contact lens-wearer, I tend to get a little irritation around my eyes (and especially around this time of year with allergies and changes in air temperature and humidity). In the past, the skin around my eyes has even gotten flaky and peely from weather-related trauma and rubbing. I’m defending my eyes this season with this rich eye balm. It’s reserved mostly for evening use, but as the weather gets colder and the air gets drier, my skin will be able to handle using it during the day. It sets the eye area up for an effortless concealer application (just glides on! ); however, don’t be heavy handed so you can avoid having too much slip. A very thin layer is all you need to coat and protect the skin and allow the powerful herbs and fast-absorbing oils to do their magic. 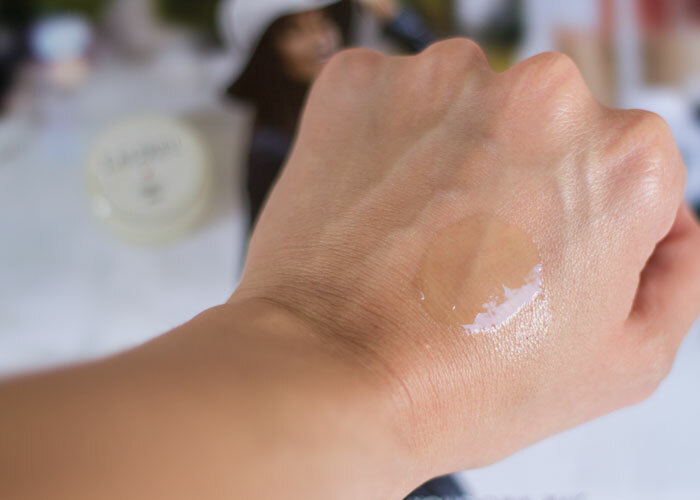 If you have extremely dry skin, or are need of an extra shot of moisture, this balm layers beautifully under an eye oil (Laurel makes one of those, too, and of course I absolutely recommend this one as well). Shea butter, beeswax, jojoba, borage, rosehip, almond, grapeseed, cranberry seed and pomegranate seed oils make up the dense, moisturizing base. While it seems like a LOT of moisture, I’ve never once experienced milia or clogging in the delicate eye area. Grapeseed is high in vitamins C, D and E as well as beta-carotene. Borage seed oil (a favorite of mine to take internally to help with acne) helps refuce inflammation and delivers essential fatty acids to the skin. Cranberry seed oil firms and prevents sun damage thanks to its high antioxidant content. In true Laurel fashion, the Eye Balm includes a whole-plant blend of bilberry, fennel, licorice and nettle to reduce puffiness, inflammation, fluid retention and dark circles. I find that when I use this eye balm at night, I wake up to a very soft undereye area that’s less puffy and discolored than normal. I’ll always have bags and circles under my eyes (go to sleep, you psycho! ), but the balm does tend to lessen the appearance. Plus, the softness it imparts on my skin is unreal; when I wake up in the morning, my eyes are plump, not puffy. 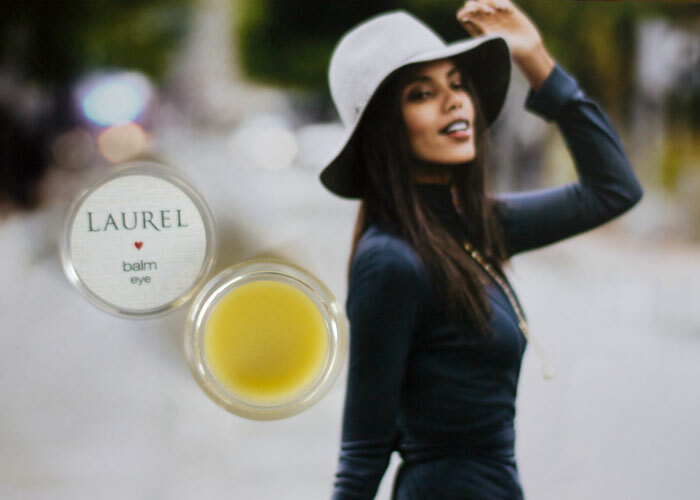 Laurel’s Eye Balm is definitely a cold weather-staple in my skincare regimen. While I love my roll-on eye serums like crazy, sometimes my skin just craves a balm. This one, made by one of my favorite makers and brands, is an absolute must-have for anyone with dry skin or who experiences the transition weather madness like I do. What transition weather skincare swaps do you make? Do you prefer oils, creams or balms for your undereye area? What have you tried from Laurel Whole Plant Organics? Tell me in the comments section.